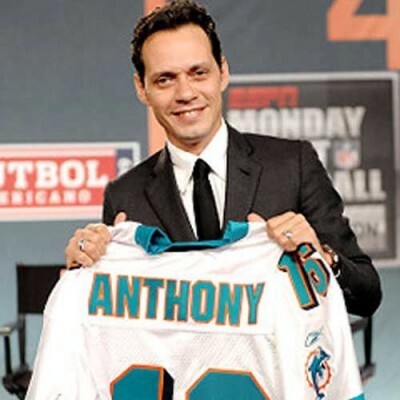 Marc Anthony has conquered the Latino music scene and is now branching out into the sports business industry. Recently, the Puerto Rican singer, actor, and record producer has launched his very own sports management company called MAGNUS Sports. Originally, earlier this year Anthony founded a talent management company that mostly catered to musicians and actors as they entered the entertainment industry but the singer decided to branch into sports management and so far things are looking up with his recent signing. In the new deal, Anthony’s company will represent Aroldis Chapman when it comes to his marketing and sponsorship exploits while the firm of Praver Shapiro will be Chapman’s legal representation when the Cincinnati Reds closer becomes a free-agent at the start of next year. Anthony’s recent foray into sports management is similar to fellow New York native, Jay Z who also broke into sports management with his company Roc Nation Sports. Under Jay Z’s management he has signed a list of impressive athletes including Kevin Durant. With Anthony’s deep-rooted Latino connection his company could find similar success to Jay Z since MAGNUS could find athletes in Major League Baseball and boxing where both sports have a large Latino population. Currently, in Major League baseball there are more than 30% of Latino players in the game. Subscribe to our weekly e-Newsletter for the latest news, trends & events: click here, its quick & easy! !